Rooftopping ‘Selfie’: Scary And Brilliant! Do You Have It In You? Ever heard of ‘Rooftopping’? Is it just a word or a thing? How far are you willing to go for a perfect shot? Will you dare to risk your life for taking the perfect selfie ever? Well, we have someone who can do that too. 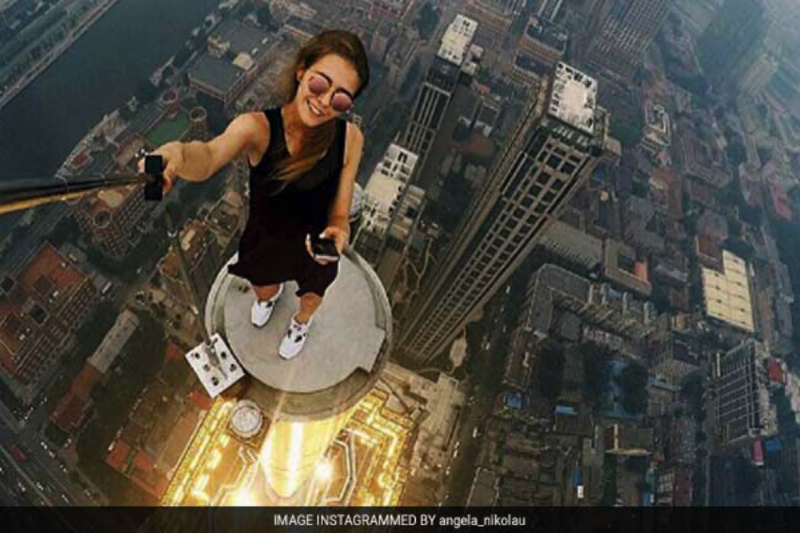 Insta-famous Angela Nikolau, sees no limit when it comes to taking the best snapshot and this is very much clear from her stomach-churning photos taken on the world’s tallest skyscrapers. 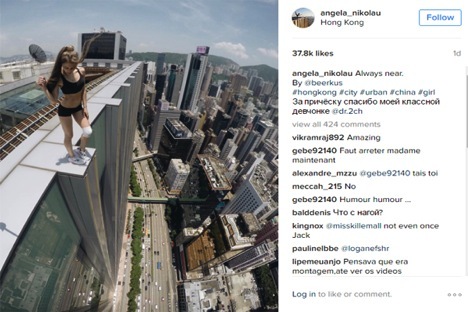 This Instagram celebrity has her feed filled with jaw-dropping and startling pictures that show her taking selfies, posing casually, doing yoga, or even sometimes simply chilling on top of some really tall buildings. In fact, in some of the pictures, she can be seen literally hanging from a few of them. Accompanying her in this daring task is the Russian photographer Ivan Kuznetsov, famous by the name Ivan Beerkus on Instagram. Both of them do all these scary activities without any protective gear or a safety harness. Here is a sneak peek of Ms Nikolau’s incredible pictures and videos and dare not try these at home or any tall building. 2) On the ledge of a tall building, trying something acrobatic! 10 Movies Every Student Must Watch!